With his entire family depending on him, Lucas Clayton reluctantly comes home just weeks before Christmas. Branded "town troublemaker" as a teen, Lucas left tiny Clayton, Colorado, and vowed never to return. But now he's back -- with a child in tow. No one is more stunned than Erin Fields, the hometown sweetheart he left behind. Commitment-shy Lucas is someone's daddy? Before he can convince Erin he's changed, he has to prove it to himself. And to a pint-size cowboy, who needs the Claytons -- and the entire town -- to make this a very special Christmas. A great finale to a the series. 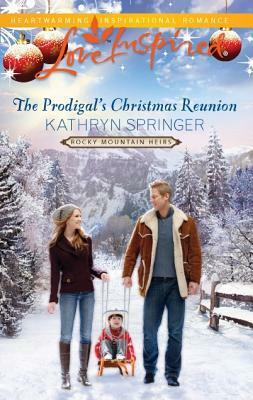 Kathryn pulls everything together and ties up all the loose ends for the Clayton clan. We find out who is behind trying to get the grandchildren of George Clayton Sr. to fail so they don't get the inheritance, who Macy's father is, if Jasmine and Cade survive all the naysayers and marry or not. And best of all, we get to learn about the last and final grandson, Lucas. Lucas had left Clayton, Colorado seven years ago. He left his secret love behind as well. A girl he dated but never let anyone know since he was afraid his reputation would hurt her. Instead he hurt her by leaving town and never looking back. He has returned but just long enough to meet the requirements for the will and he has not returned alone. Four year old Max Cahill was orphaned after his father was murdered, Scott had lived long enough to ask Lucas to take care of Max. Lucas felt inadequate for the job of a father and everything else. He could never live up to his own dad's standards. How could he be a father to Max? Erin Fields had promised she would wait for Lucas that night seven years ago, and she had kept her promise. Now that he returned she still has feelings for him but he was just wanting to leave town again. Erin is the owner of the Cafe and she also has a horse rescue at her home on the outskirts of town. It seems that every time she turns around, Lucas and Max are there and now they are renting the home right next to hers! She has been through as much as Lucas with losing a parent and other trials but her faith has pulled her through whereas Lucas left his behind. I really enjoyed this series. Since we've been wondering about Lucas throughout the six-book series, it was really great to get his story. The experience him and his newly adopted son went through is revealed at the end of Book 5. Lucas and his little boy, Max, are so cute! Their story is precious, and I think Erin and Lucas made a great match. In this book, all the questions were wrapped up, and I found that I had pretty much everything figured out. There was something I thought was going to be revealed that there was nothing to, but other than that I was able to figure things out! Though unrealistic, sometimes it's fun to step outside of reality and go into the land of make-believe and imagine "what if."